Nothing complicated about this site, just one page. 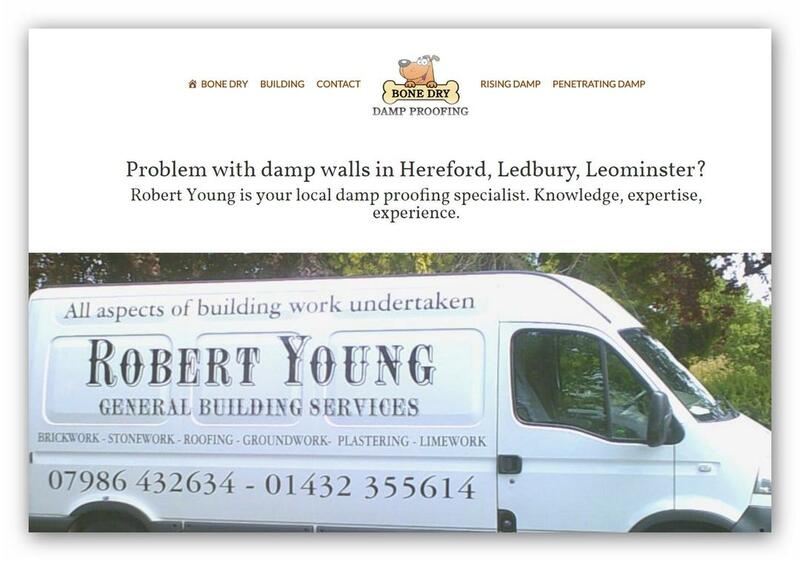 It promotes the damp-proofing business for this builder. He had a static site, but knew to get good search results, and be easily accessed he had to go responsive. Imagine you’ve bought a property or thinking of it. You see damp and you want a solution, so you reach for your phone. And so the site has to work on ALL devices. © Croque-en Bouche Web Design.